In just over three week's time the European elections will be over but a new process will have just begun – an immense power struggle between the EU institutions. It will involve two different approaches on how to interpret the results. This will in turn affect who should become the next European Commission president. The European Parliament believes the post should go to either the top candidate of the political party that wins the most votes or to the candidate who can get a majority among the groups. There are six in total including Jean-Claude Juncker for the centre-right, Martin Schulz for the centre-left, Guy Verhofstadt for the liberals, Jose Bove and Ska Keller for the Greens and leftist Alexis Tsipras. The candidates see themselves as real contenders. EU leaders, on the other hand, see them useful for raising interest in the vote and nothing more. 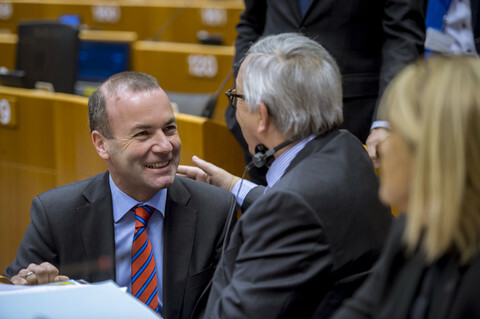 Member states want to be free to choose someone else entirely for the commission post, as a "package deal" with the two other top posts – European Council president and the foreign affairs chief – and possibly also including the successor to Eurogroup chief Jeroen Dijsselbloem, whose mandate ends next year. Both sides look to the treaty for validation. The treaty says that EU leaders have to take into account the result of the election when choosing someone for the post. MEPs took inspiration from the wording to create presidential contenders for the major parties. Both sides also feel they have the democracy argument on their side. EU leaders note that they are democratically elected representatives choosing a president; the parliament says that its way will reflect voters' wishes. At heart is a good old-fashioned power struggle between EU institutions. Klaus Welle, Secretary General of the European Parliament, says the EU treaty intended to change the balance of power. "How much – that will be played out in the next couple of weeks," he recently told an audience at Brussels' CEPS thinktank. The fact that the vote between the top two parties – the centre-right EPP and the Socialists – is set to be so close is only likely to make the struggle even more intense. To get an agreement on the name, a qualified majority is needed among member states as well as an absolute majority in parliament. It could be that Juncker, for example, gathers the support he needs among member states but cannot muster enough among MEPs. 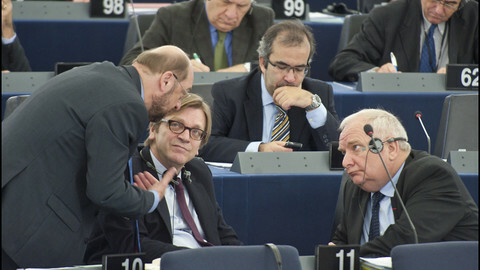 Or that Schulz can get MEPs behind him, but not enough leaders. There are other potentially awkward questions too. What will Germany do? Chancellor Angela Merkel has never liked the whole idea of presidential candidates. But her vice-chancellor Sigmar Gabriel is also leader of the Social-Democrats and, so far, a Schulz supporter. Merkel's grand coalition has not yet agreed on which party colour the next German commissioner should have. 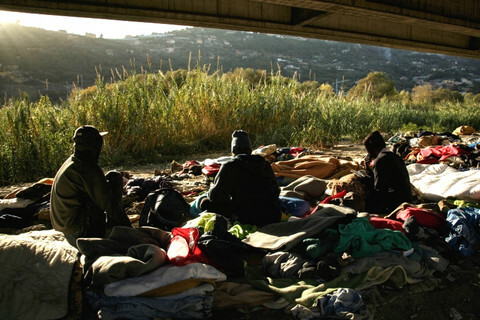 A meeting between Merkel and Gabriel is scheduled on the day after the EU election to discuss the matter. 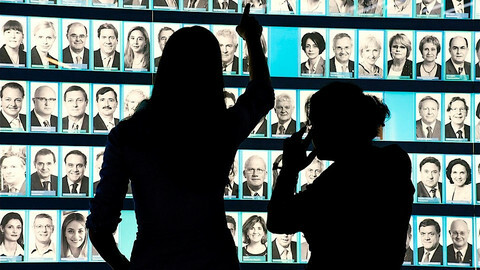 The Brussels-based drama will start two days after the results are in, on Tuesday 27 May. In the morning the political group leaders of the outgoing parliament will meet to discuss the results and what to do next. Merkel has signalled she dislikes the idea of having Schulz chair the group leaders' meeting, given that he is one of the top candidates. Instead she wants EPP chairman Joseph Daul to lead the meeting. EU leaders will meet in the afternoon and evening in Brussels. 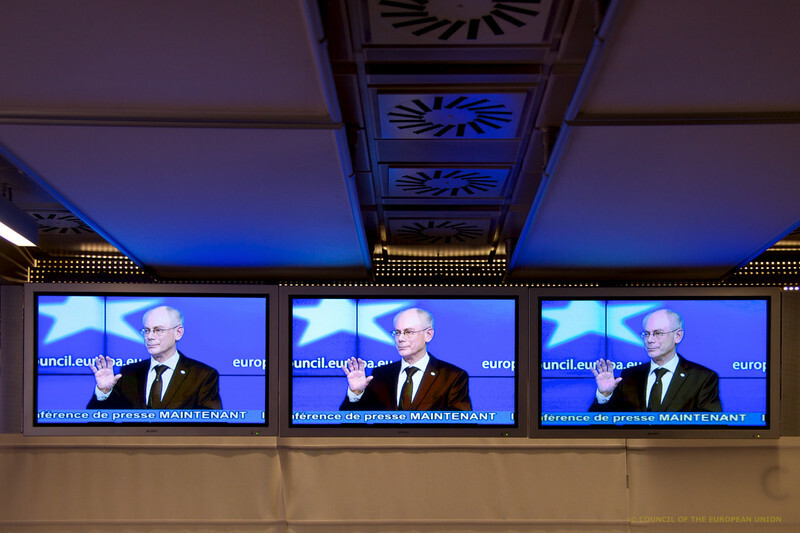 They are expected to "mandate" European Council President Herman Van Rompuy to start the talks with governments and MEPs. Chancellor Merkel has already made clear that the process will take time. "There is a meeting of European leaders and heads of government set for May 27, but the decision will not be made on the Tuesday or Wednesday following the elections," she said Saturday. "The negotiations will last several weeks," she added. Welle, for his part, takes some pleasure in pointing out how few people know the treaty well. He notes that it says that Van Rompuy has to consult MEPs beforehand and that parliament must then "elect" the president. While the consulting is going on, the parliament's political groups will also be forming. By 24 June, all factions are to be set in stone, determining key things such as funding and committee chairs. But also potential voting alliances for the commission president. EU leaders will gather once again in Brussels for their traditional summer summit on 27 June. The parliament will have its constitutive session in the first week of July, electing its own chief on the 1st of the month. 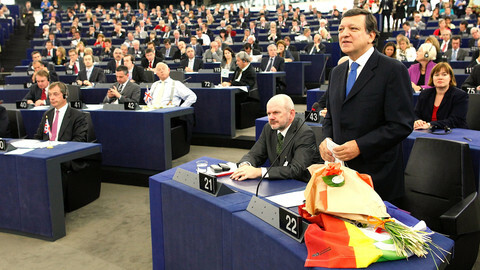 The earliest possible date that the European Commission president could be voted on is on 15-16 July. But most think this is unlikely and that the institutional wrangling will still be in full swing at that point. Welle notes that the nomination vote "could" also be in September. Hearings of all commissioner nominees are meant to be in September and the final confirmation vote of the whole Commission in October, when the mandate of the current executive expires. Member states view the EP's claims about democracy with a jaundiced eye. They think the parliament is more concerned about power politics. "The EP claims that more democratic legitimacy equals more powers to the EP. But this is not the track record we've seen, with legislation blocked just to assert their power," one EU diplomat said. The source added that among member states, there are several saying that more democracy should come with more powers to national parliaments rather than the European Parliament. 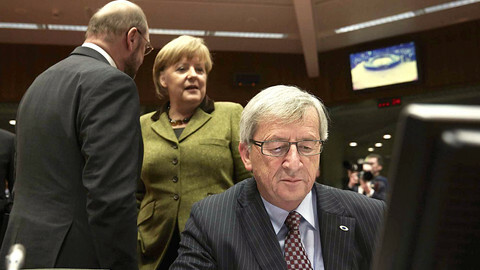 Meanwhile EU leaders are unlikely to accept the scenario of having two of the 'Spitzenkandidaten' emerge as the ultimate compromise – Schulz as Commission president and Juncker chairing the European Council. "That would mean the Parliament gets to decide on two posts, not just one," the EU diplomat said. The council's ace up its sleeve if the EP blocks the appointment of the new commission is to accuse it of needless quarrelling at a time when Europe is grappling with the Ukraine crisis. Welle, known as a master political tactician, is rather sanguine about it all. He likens it to the EP announcing it wants to land on Mars. First, MEPs were told they couldn't build a rocket, and then that it would never fly. "Now the discussion is: you will not be allowed to land on Mars." 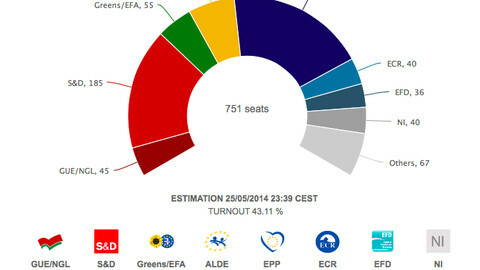 EU elections 2014: Toward a democratic revolution? The question asked to EU voters will therefore no longer be "Are you for or against Europe? ", but "What kind of Europe do you want?". The likely political make-up of the next EP means that technical work on legislation is set to be replaced by a debate about fundamental principles, says a veteran EU lobbyist. 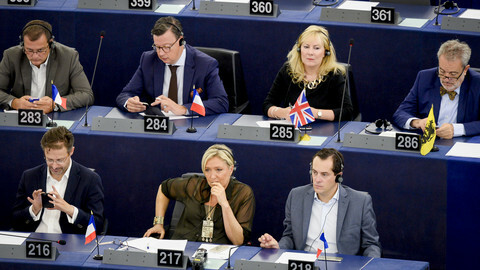 How will the European Parliament look after the European elections on 22-25 May? Find the latest flash estimates here. How the EPP will likely win the most seats and form a winning coalition but lose the Commission Presidency nomination - to Guy Verhofstadt. German Chancellor Merkel has made conciliatory gestures towards the European Parliament on the choice of the next commission president after Sunday's EU elections.